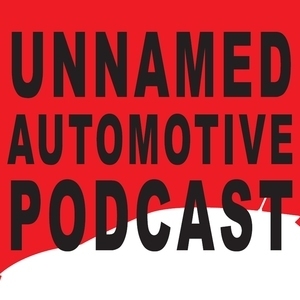 We found 5 episodes of Unnamed Automotive Podcast with the tag “acura”. Sami spends a little more time in McLaren land with the 2020 720S Spider, while Benjamin takes an 800 mile roadtrip in the 2019 Acura RDX - so he can spend the day ice racing in the Lexus Sport Cup. Did he survive the studs? AutoGuide chief Jodi Lai joins Sami and Benjamin to talk about the Mercedes-Benz S560 Cabriolet, the Jeep Cherokee, the Acura RDX vs. the Infiniti QX50, and a recent patent for an EV self-destruct system. Sami gets passionate in his defense of the 2018 Acura TLX A Spec, while Benjamin questions whether Acura has any brand identity at all. Benjamin then discusses the 2018 Honda Odyssey and ponders its place in a world where crossovers and SUVs rule supreme. The pair also answer a listener question about whether the Chevrolet Corvette Z06 is an overlooked, and undermarketed, supercar. Sami and Benjamin make the rounds of the 2018 Detroit Auto Show and talk about the most important new car, truck, and SUV debuts.